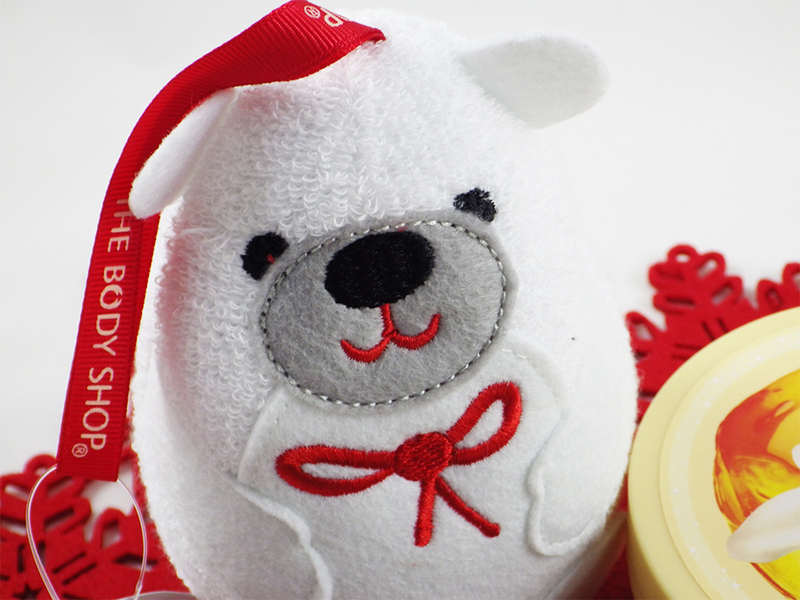 Every year The Body Shop releases a trio of festive scents in a range of products, just in time for Christmas. I think this year the scents are absolute winners as there's something for everyone; the rich and creamy Vanilla Brûlée, the light and sweet Glazed Apple and the fruity and festive Frosted Cranberry. My favourite has to be Glazed Apple - it's not a scent you come across very often, but I find that I want to smell of it all the time! In each scent The Body Shop have multi-product gift sets plus lots of individual products, including shower gel, body butter, lip balm, hand cream, eau de toilette and bath jelly to name a few! There's some very cute limited edition accessories and makeup released just for Christmas too. I have been getting myself in the Christmas spirit and been using a selection of these products to give you the lowdown! How cute is this?! There's also a Perry The Penguin Bath Sponge too. I don't tend to use bath sponges or lilies much, but this does really help improve the lather of shower gel. Plus having Bob hanging up in your shower is one way of adding some festive decoration to your bathroom! I love bath products, but I've never tried a bath jelly before. This tub comes with a little wooden scoop to dispense the jelly out of the tub and under running water. The scoop is actually really handy because the formula is so thick and solid. I tend to put a good six or so scoops into the bath and this creates a nice layer of foamy bubbles. The scent is also just right; it's not overwhelming but it's strong enough to keep you comforted and relaxed. I wish it lingered on my skin afterwards though! 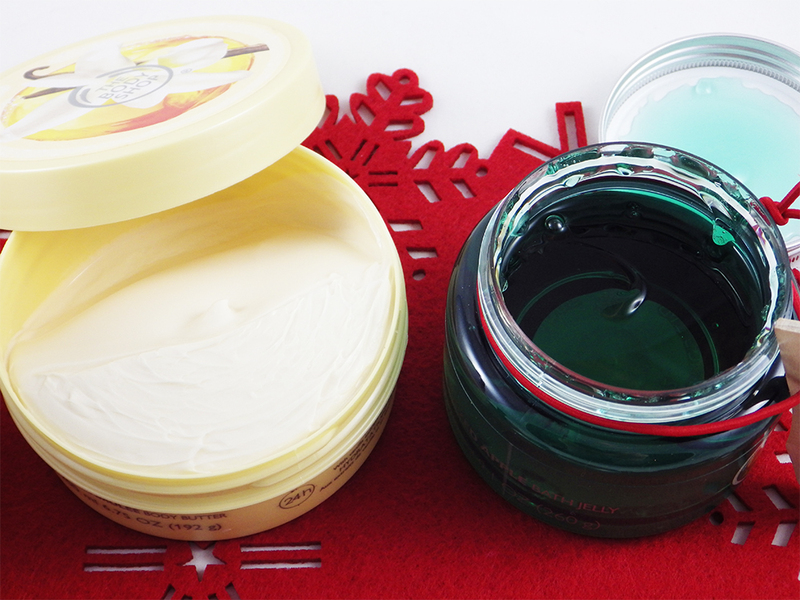 You can't go wrong with a body butter from The Body Shop. 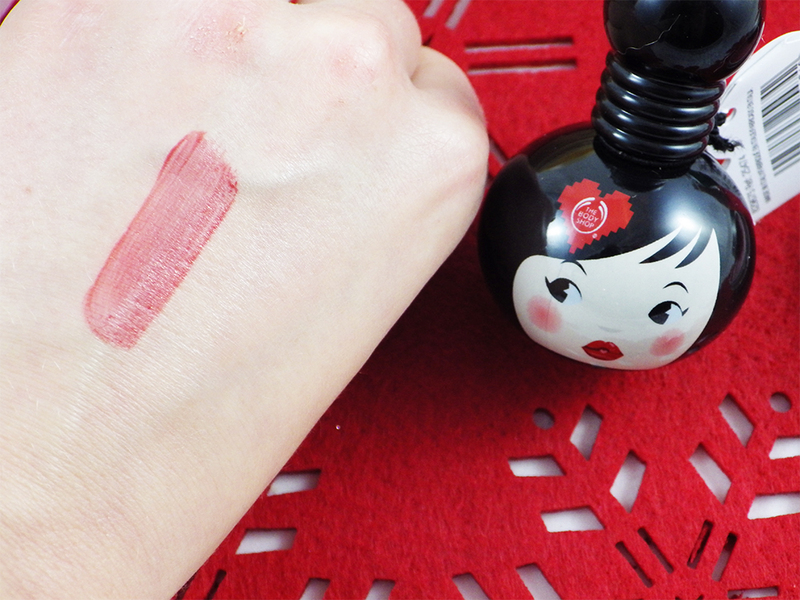 The formula of this is thick but creamy, absorbing easily into the skin. Along with the rich scent, this makes using the body butter feel like a really indulgent treat. With the main ingredients being Cocoa Butter, Shea Butter and Glycerin, my skin is left soft and hydrated. 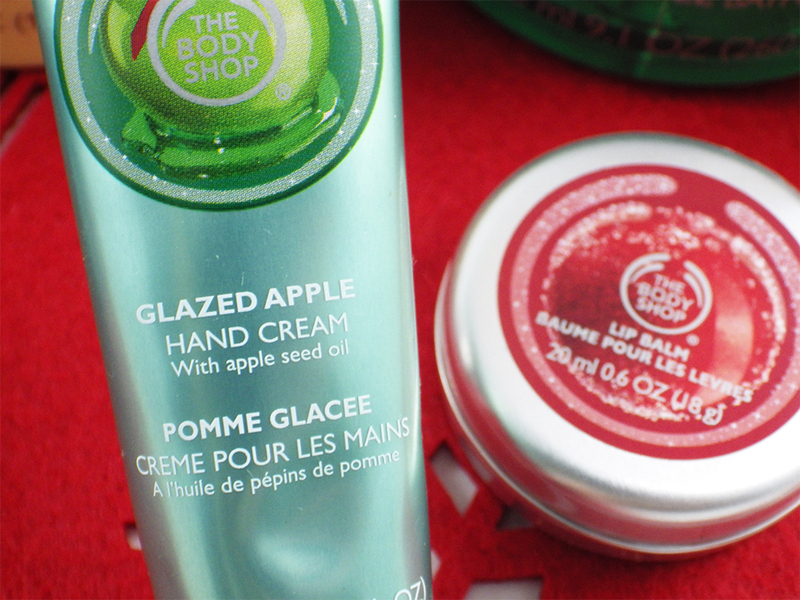 When I've applied the Glazed Apple Hand Cream I can't stop smelling my hands afterwards! The formula of this is lighter and thinner though than I thought it would be - it's more like a creamy gel. I don't think this hand cream will be intensive enough for me when the temperature really drops, because I get very dry hands, but for now it's doing a great job. It absorbs and dries quickly too and doesn't leave any greasy or oily residue. I think you get very good value for money with this tin of balm - it's huge! 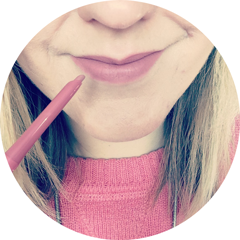 As the colour of the balm is red in the tin, I assumed this would have a red tint to it on the lips, however it just gives a subtle, clear sheen. Although I think it would have been nice for this to have some colour, I can understand that just being a clear balm will make it appeal to a wider range of people. 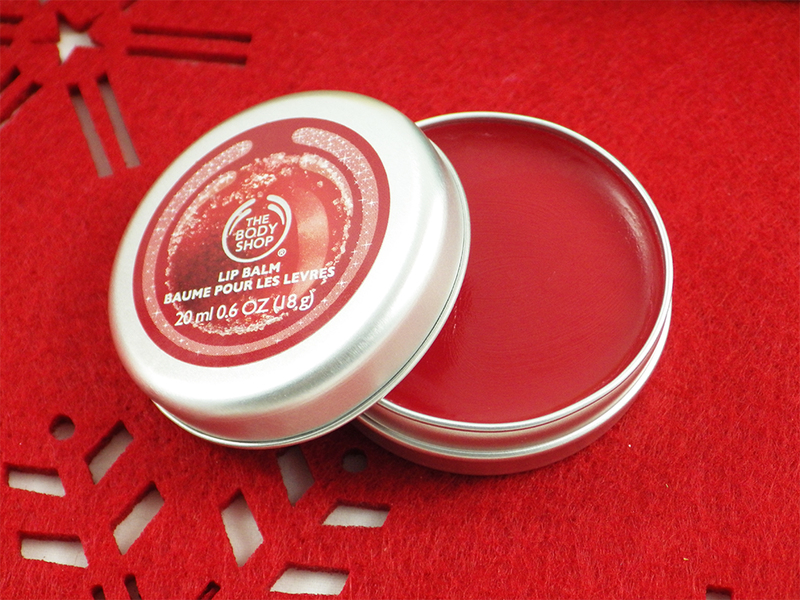 I adore the fruity scent and the main ingredient, Grape Seed Oil, equals soft and moisturised lips. Like the hand cream though I don't think this will be intensive enough in the bitter cold. 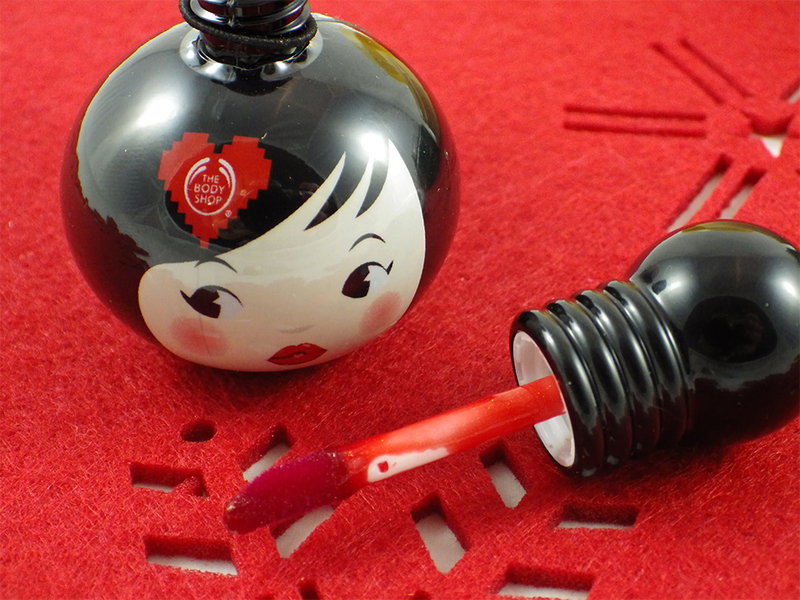 Although the limited edition packaging isn't particularly festive, I do think it completely transforms this lip and cheek stain, which normally comes in a plain, rectangular tube. It's superbly cute and quirky and would look great sat on a dressing table. The stain is a sheer, rosy red, which unfortunately didn't work on my super pale cheeks, however it didn't budge all day! The consistency is quite thin and it dries super quickly, so it can be a bit difficult to work with. On my lips this meant I found it hard to get an even wash of colour. Unfortunately this product just isn't for me, but I'm sure for someone else it would be a delight to use. To view the full Christmas range click here. 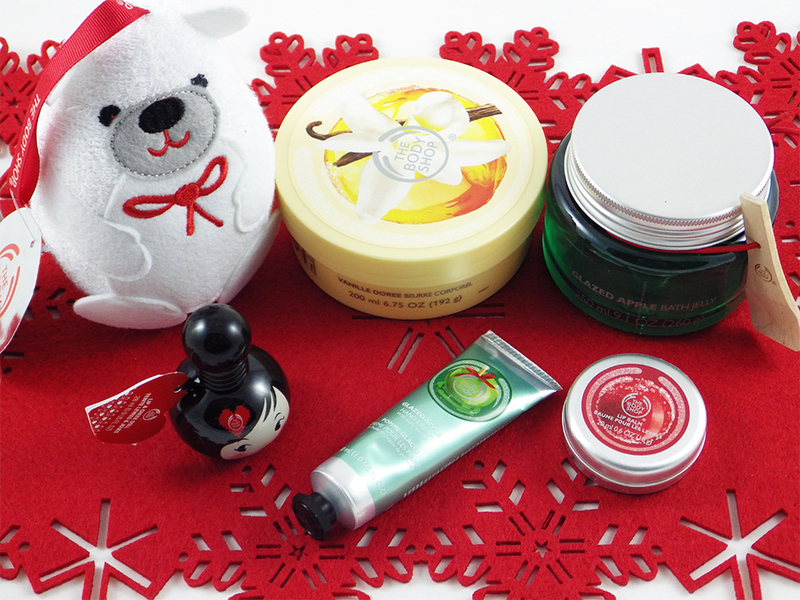 Have you tried any of the new Christmas products from The Body Shop? Which of the three limited edition scents is your favourite? I'm obsessed with anything Glazed Apple at the moment!